South Yorkshire's Police and Crime Commissioner has awarded a £4,667 grant to help Roma girls living in Rotherham understand the dangers of child sexual exploitation. Dr Alan Billings awarded the cash to the Clifton Learning Partnership to help Roma girls in Eastwood learn about child sexual exploitation and how to avoid unhealthy relationships. The partnership launched the scheme after identifying 40 Roma girls feared to be at risk of exploitation. "Support workers will educate young girls on the dangers of unhealthy relationships and speak to them in Roma, to ensure they have a full understanding. "Sessions are held throughout the week and provide support and advice on what to do if a young girl is worried about a relationship or what to do if a friend or someone they know could be at risk of abuse." 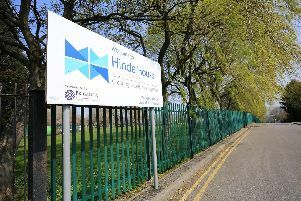 Helen Littlewood, Clifton Learning Partnership's Director, said: "We had concerns that up to 40 Roma girls from the Eastwood area were at risk of becoming involved in sexual exploitation. "The funding from the Commissioner will help us further develop one to one advocacy and support work with family and group sessions. "We hope that this will enable these marginalised communities to speak out about their own experiences of abuse and play their full part in helping to protect children and young people." A large scale child sexual exploitation problem in Rotherham was made public when Professor Alexis Jay was commissioned by the town's council to write a report on the issue. She found that 1,400 children were abused in the town between 1997 and 2013 while those in authority failed to act. Men of predominantly Pakistani heritage were said to have been responsible for much of the offending. Prof Jay found described 'appalling' where children were raped by multiple perpetrators, trafficked to other towns and cities, abducted, beaten, and intimidated. There were examples of children who had been doused in petrol and threatened with being set alight, threatened with guns and made to witness brutally violent rapes. She also found girls as young as 11 had been raped by large numbers of men. The report found that the scale and seriousness of the problem was underplayed by senior council managers and at an operational level, South Yorkshire Police gave no priority to CSE cases, regarding many child victims with contempt and failing to treat their abuse as a crime.